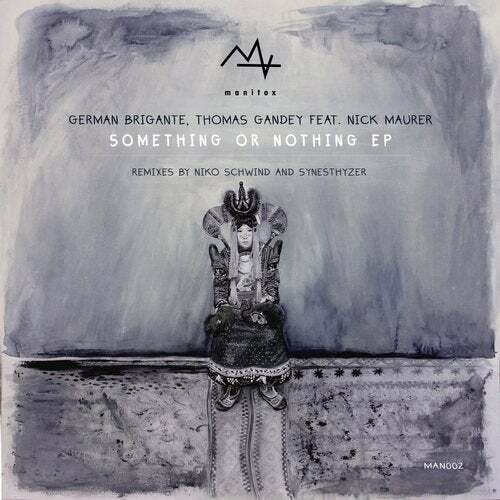 German Brigante & Thomas Gandey are a powerhouse dance music pairing who come together for a new single featuring Nick Maurer. It is a classic in the making and comes with remixes from Niko Scwind and Synesthyzer, while German Brigante also goes solo for one cut. The original of Something or Nothing is first and is a skittish house cut with a killer, fat bassline. Keys are pixelated and chords are colourful, and the whole thing is cosmic and deep, spaced out and alluring. The excellent Niko Schwind remix makes it into something more dirty, rugged and freaky, with freewheeling keys bringing energy and vibrancy to the tune. A big breakdown adds some tension and when it kicks again floors will go wild. A top remix from Synesthyzer then gets deep and pulls back, with a wafting synth drifting about as the lead focus and the silky yet turbulent drums pulling you deep into the groove. Last of all comes Black Bull, a dub mix by Brigante that has filtered, dark vocals and tech drums that are taught and tense. It makes for a late night trip that really makes an impact. Overall this is a varied, interesting EP which explores new house music realms.